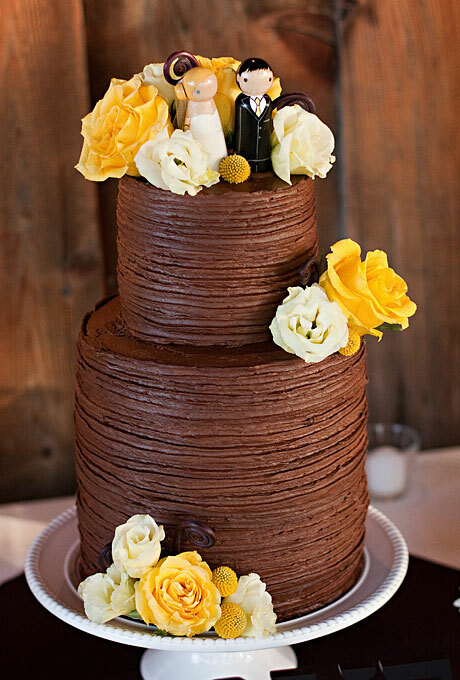 The temperature outside might be chilly, but that doesn’t mean your cake needs to be covered in icing! Today’s featured cake is the perfect winter wedding cake in all its dark and dramatic glory! I have been craving chocolate lately. 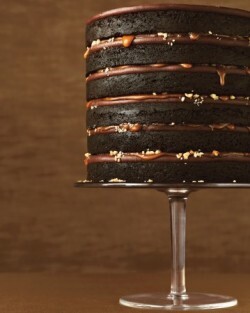 I blame the displays of Halloween candy in the stores and the fact that I’m trying to avoid sweets. 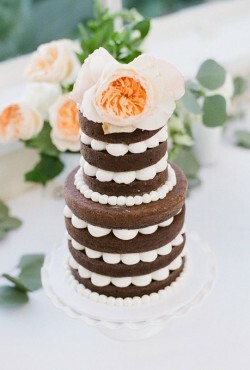 So, to curb my cravings I’ve been looking at chocolate wedding cakes. And today’s featured cake looks delicious! It’s that time of year again – when I am finally over summer and just want it to be fall. 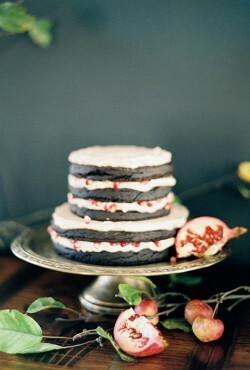 I need cooler temperatures, warm sweaters, and pumpkin spice everything. 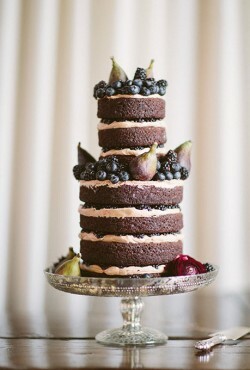 A chocolate cake would be nice too! 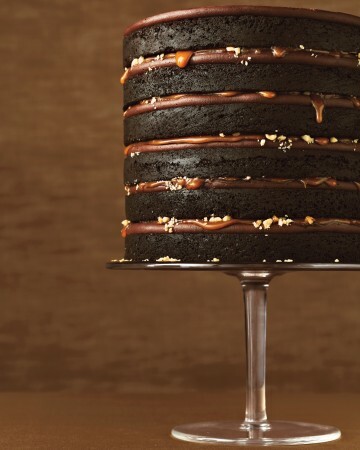 As we inch closer and closer to Valentine’s Day we can’t stop thinking about all things chocolate. 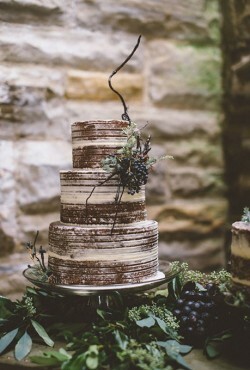 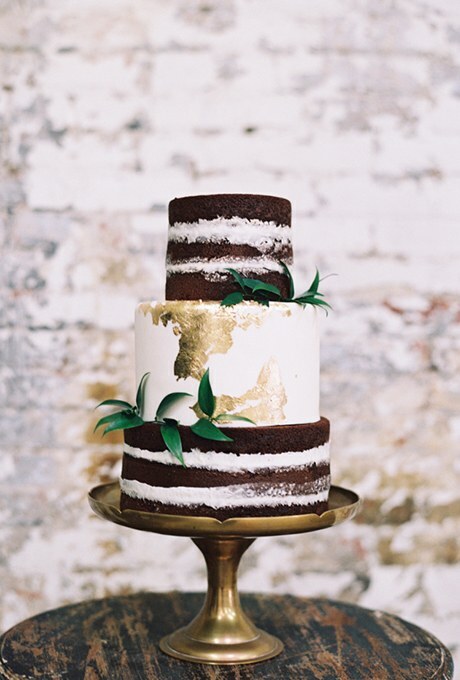 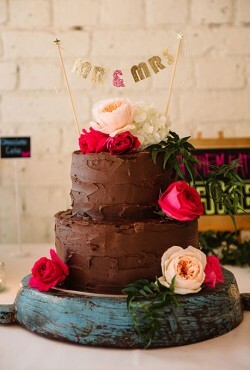 So it only seems natural to think about chocolate wedding cakes too! 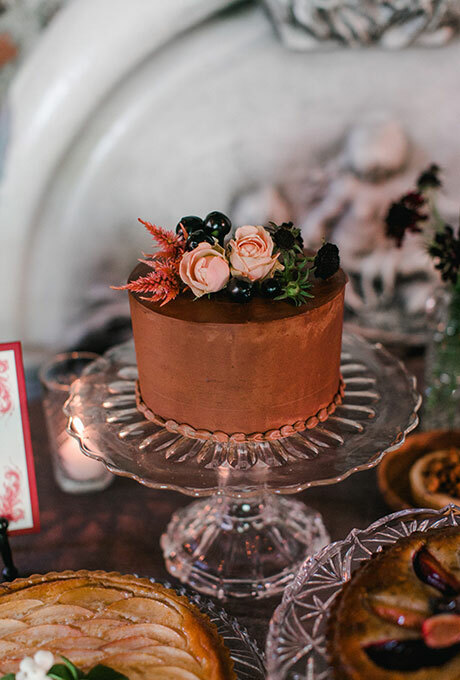 This naked chocolate and pomegranate cake would be perfect for a Valentine’s Day wedding – or for anyone who loves chocolate.